Inspired by research on the importance of entrepreneurship for sustained economic growth and improved wellbeing, many governments and non-governmental grantmaking organizations have sought over the past decade to implement policies and programs intended to support entrepreneurs. Over this interval, growing appreciation of the limits of strategies focused narrowly on financing or training entrepreneurs has prompted a number of such entities to shift their efforts toward more broadbased strategies aimed at enabling "entrepreneurial ecosystems" at the city or sub-national regional scale. This paper takes the metaphor of the "ecosystem" seriously, seeking to draw lessons from evolutionary biology and ecology to inform policy for entrepreneurship. 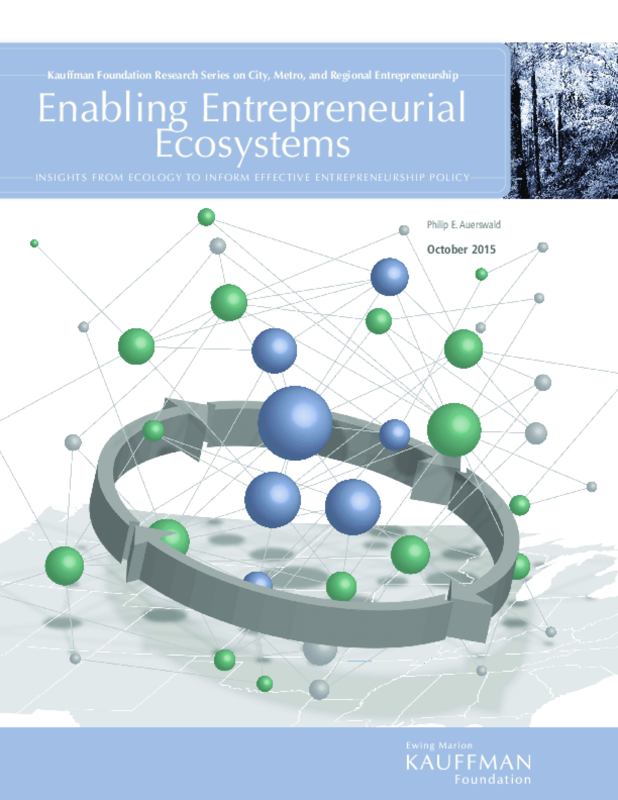 In so doing, the paper provides a framework for data gathering and analysis of practical value in assessing the vibrancy of entrepreneurial ecosystems. Copyright 2015 Ewing Marion Kauffman Foundation.